DGEMS (Daily Gospel eMessages) are Daily Gospel Reflections since April 2001 which helps us to find God in our daily living. We all need God to heal, reaffirm, inspire, empower, guide and give us renewed hope in our pains and joys of life. 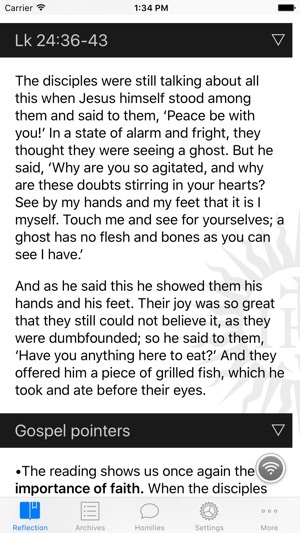 The app contains the Gospel passage for the day, following the Catholic liturgical calendar, and also a short reflection written by Msgr Philip Heng, S.J. 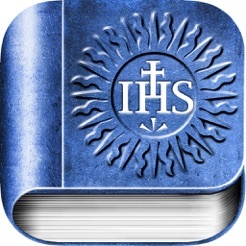 This app is an initiative of the Jesuit Prayer Ministry. The short reflections are only 4-5 sentences long, making them suitable for busy people nowadays in a fast-paced environment. 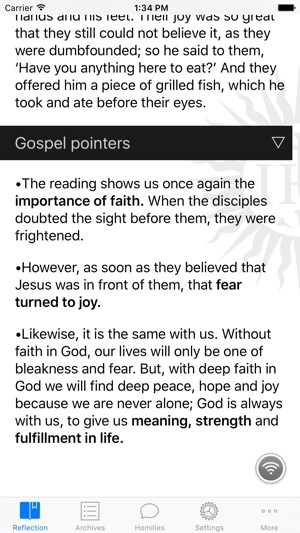 If you wish, we can daily remind you to reflect on the Gospel through our app. You can also adjust the font size according to your preference, by changing it in the settings screen or pinching the screen. About Msgr Philip Heng, S.J. Msgr Philip Heng, SJ is the present Parish Priest of the Jesuit run St Ignatius Church in Singapore. He is also the Vicar General of Archbishop William Goh in Administration, Finance, Religious, Ecumenism and Interreligious relations. 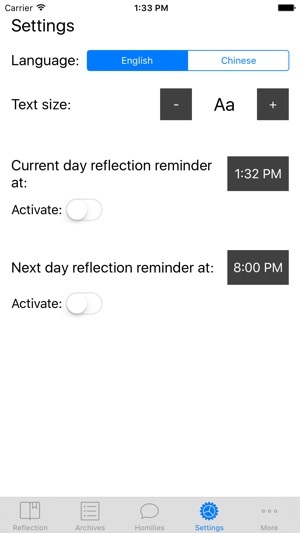 New layout: switch easily to different parts in the DGems app with the tabs at the bottom of the app, such as to Homilies, Settings, Archives, and more! 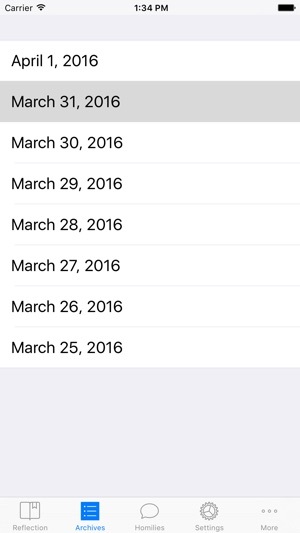 Support landscape orientation on both iPhone and iPad. Now you can rotate your device while using DGems in any orientation. Thank you very much for the inspiring daily Gospel. It's like a daily vitamin for our souls. I have shared with many friends who are busy people like you and myself. 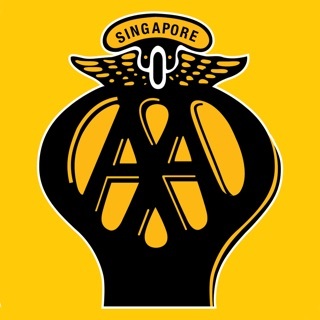 It is a very important app for me especially when I am on a business trip. A very wonderful companion. Please support iOS11.x and iPhone X. 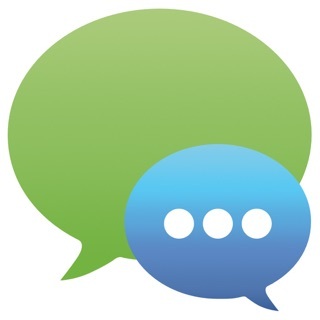 Make all the text able to copy & paste wld be helpful for us to share these reflections. Never miss out daily short reflections speaking to me. Wish the App could allow me to copy and paste some passages. 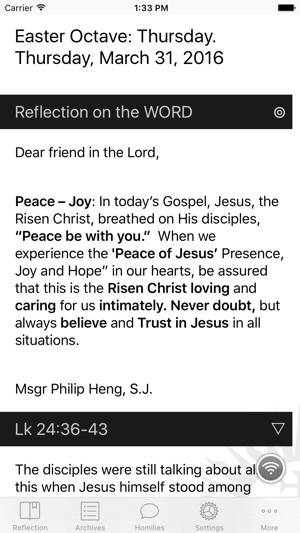 © 2015 Msgr Philip Heng, S.J.